I’ve started a few series in the past several months. Some of these were published a while ago so there are a fair number of books already out and I have a lot of catching up to do. Over the weekend, I read the second book in C.J. Sansom’s historical mystery series starring Matthew Shardlake: Dark Fire. 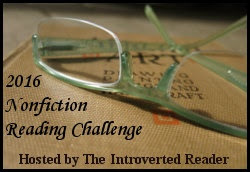 I was very impressed by the first novel, Dissolution, and enjoyed Dark Fire just as much. In it, we return to Tudor England with Matthew Shardlake, a lawyer whose sharp mind has made him one of Thomas Cromwell’s more useful aides. Shardlake was once an ardent reformer, but his faith has been shaken by the misery unleashed by the dissolution of the monasteries and the persecution of religious dissenters. This novel opens in 1540, three years after the assignment given to Shardlake by Cromwell in Dissolution. 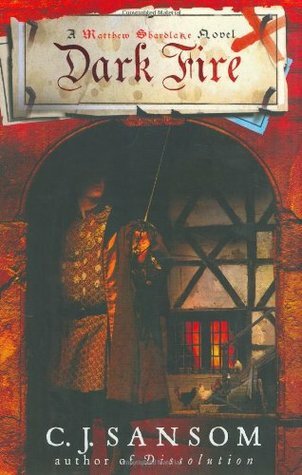 Since then, Shardlake has concentrated on the law and on staying out of Cromwell’s way. He no longer wants anything to do with the man who was once the most powerful person in England after the king. Cromwell has been falling from favor ever since finding Anne of Cleves for the king to wed. Vultures are circling. Matthew fears Cromwell, but even more, he fears what will happen to Cromwell’s adherents if Cromwell falls. He has a couple of cases ongoing. One is against a fellow lawyer whose corruption has grown so great that Matthew is willing to break an unwritten rule that says lawyers don’t expose their fellows. A second case is even more difficult. A young woman, niece of an old friend of Matthew’s, has been charged with murdering her cousin by pushing him into a well. The uncle (who is not the boy’s father) cannot believe the girl did it. The most perplexing problem is that the girl, taken into custody and thrown in jail, refuses to speak. That stance will end with her being tortured to death. Matthew also believes her innocent, but has very little time to prove it. These things pale in comparison to what comes next. Cromwell, who is growing desperate to remain in the king’s good graces, has learned about a secret weapon discovered in one of the monasteries that is being dismantled. The weapon is Greek Fire, or Dark Fire, an old Byzantine incendiary device, the secret of which is long lost. This fire can burn complete ships within moments. It can burn in water. King Henry, who has been collecting powerful enemies such as France and Spain, would love to have this weapon. The men who discovered it have been able to duplicate the formula and demonstrate its power to Cromwell, and they are willing to hand it over for a fee. Cromwell has promised it to Henry, but the men who have it are too slow to complete the deal, and Cromwell fears some sort of double-cross. He sends Matthew to get it, providing him with some muscle for back-up, a coarse young ruffian named Barak. When Matthew and Barak reach the home of the men with the formula, they find them murdered. The race is on. Matthew must find the murderers, the formula, and the person high up in the government who hired the murderers. He must also save the young girl from execution by solving the mystery of who really killed the boy. And he has to adapt to this new assistant, Barak, who is ill-bred and yet, oddly companionable. Matthew must also struggle with his conscience–does he really want to be responsible for loosing this weapon upon the world? Like Dissolution, Dark Fire is a grim book, showing the cruelty and grit of Tudor England. It’s densely written, with numerous subplots that intersect over and over, so that you have to pay attention or risk missing something important. The period detail is exquisite. The characters are richly developed. It’s a marvelous book. You don’t absolutely have to read Dissolution first, though I’d recommend doing so. This is a series, and an author, that I’ll be sticking with for a long time. 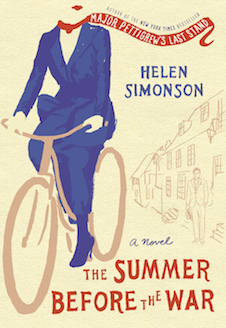 Helen Simonson, author of the wonderful novel Major Pettigrew’s Last Stand, has a new book: The Summer Before the War. The novel follows several inhabitants of a small English town, Rye, in Sussex from just before the start of WWI until the war’s end. The main protagonist is Beatrice Nash, an intelligent young woman of twenty-five, recently orphaned by the death of her father, a professor. Beatrice had spent her life following her father around and serving as his secretary. (Her mother was long dead.) He left her with an inheritance to be doled out in tiny increments until she married when she would receive the whole thing. Beatrice has no intention of marrying. So, to support herself, she takes a position as a Latin teacher in the Rye high school. Apparently, it is unheard of to have a female teaching Latin at this level. But Beatrice is championed by one of the movers and shakers of Rye, Agatha Kent, who sees no reason why a qualified woman should not have the job. Agatha becomes one of Beatrice’s close friends and supporters. As a bonus, Agatha has two nephews, Hugh Grange and Daniel Bookham, who visit her frequently. Hugh is a kind-hearted gentlemanly sort who is in training to become a surgeon. Daniel is an exceptionally handsome snob who prides himself on his charm, and who is a poet-in-training. Hugh and Daniel are as close as brothers. Beatrice has some trouble settling in as she meets the people of Rye, but with the support of Agatha and her extended family, she does get settled, despite the disadvantage of being female. Before things get too comfortable, the war breaks out. There are essentially two things about the war that disrupt the town. The first is the arrival of several Belgian refugees. The second is that some of the town’s sons are bustled off to war. The rest of the townsfolk occupy themselves with various home front activities. And everyone worries about what will happen to Rye, to England, and to their loved ones. This is a sweet story about small town dynamics and how people act at times of crisis. There is a love story—or two—central to the plot. The characters are well developed and, for the most part, sympathetic enough to make a reader care how the story will turn out. However, it’s a quiet book. I finished a couple days ago and was too busy to write my review immediately, and the book is already fading in my memory. The pace is steady but a bit slow, and the various scenarios play out in a rather predictable fashion (although there is a surprise at the end that I didn’t see coming). In the end, I enjoyed it but was not as wowed as I was by Major Pettigrew’s Last Stand. I recently read Elena Ferrante’s My Brilliant Friend, the first of her Neopolitan novels, and was completely caught up in the story of two friends (Elena and Lila) growing up in a poor Naples neighborhood in the 1950's and 60's. The first book ended at the point of Lila’s wedding, with an indication that the marriage would not be a happy one. Despite my huge TBR pile, including a slew of Netgalley books waiting in my queue, I was desperate to get back to Naples for book 2. 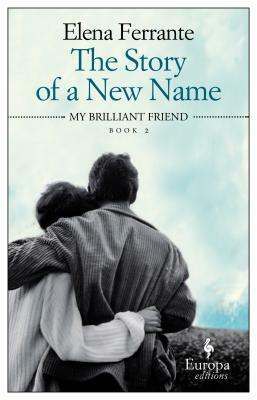 The Story of a New Name picks up where My Brilliant Friend left off. Elena continues to narrate the story of their intertwined lives. The two young women share an intense bond, but their friendship is fraught with obstacles. They are jealous of one another and behave, at times, in ways that are incredibly petty and yet entirely understandable. They are physically separated for much of the time in this book, so while Elena is able to analyze her own actions and emotional state in depth, she has to infer what is going on with Lila, piecing together the story from gossip that she hears, from the brief contacts they have, and from a collection of journals that Lila kept and then asked Elena to hide from her husband. Of course, Elena reads them though she was asked not to. She interprets them for the reader rather than showing them in Lila’s own words. This novel, like the first, is filled with the events of daily life of women who are struggling to make a place for themselves in a difficult world. Earth-shaking historical and political events are occurring around them, and at times they are cognizant of them, but mostly they are wrapped up in their own dramas, things that impact them more directly. Weaving through the tangles of the neighborhood relationships, we see how confined Lila’s life is despite her perceived power. And we watch Elena branching out as she moves on with her schooling, yet recognize how powerful the draw of the old neighborhood is even for her. The Story of a New Name is a little slower paced than book one, but these exquisite books should be savored. I’m eager to begin book 3, but I know I’ll be sad when I get to the end. Sometimes history books are informative and well worth reading, but somewhat of a slog to get through. Other times, nonfiction history can be as enjoyable to read as a historical novel. An Anatomy of Addiction. 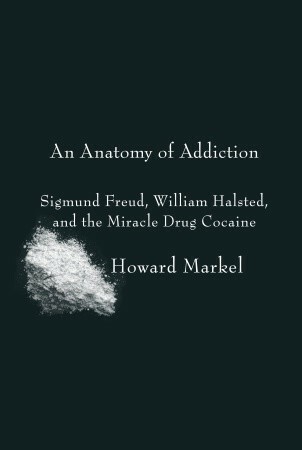 Sigmund Freud, William Halsted, and the Miracle Drug Cocaine by Howard Markel belongs to the latter category. I read this in two sittings and didn’t want to put it down, despite being in the grip of a horrendous cold that made sleep a temptation and necessity. This dual biography shows the course of the professional careers of Sigmund Freud and William Halsted, both of whom became addicted to cocaine while experimenting with the new drug. Each used himself as a research subject. Freud (everyone knows Freud, the father of psychoanalysis) hoped to make a name for himself by exploring the medicinal uses of cocaine, particularly as an antidote to the addictive properties of morphine, a huge problem in his day as in our own. Although rather insistent on his success, it’s clear he missed the boat. William Halsted is one of the pioneers of modern surgery. He was the first chief of surgery at the newly opened hospital/medical school/research institution Johns Hopkins. Aware of initial research that showed cocaine to be a very effective local anaesthetic, Halsted realized how useful local injection could be during surgery. To perfect the injection technique, he practiced on himself. Both men spent a lot of time in denial about cocaine addiction. Both also experimented with morphine as a way to ease symptoms of withdrawal from cocaine. And both had rather tormented or, at least, difficult interpersonal relationships, with marriages that were very likely harmed by cocaine abuse. And yet, both men were considered brilliant in their fields and made significant contributions to medical science. The book is written in an engaging style. It is extensively footnoted. The author is an M.D./PhD and a professor of the History of Medicine so his explanations of the mechanisms of action of cocaine and of morphine are thorough yet easily understandable. His knowledge of addiction science also informs his conclusions about how Freud and Halsted managed, somewhat, to hide their addictions from friends and co-workers who didn’t really want to see what was going on, and some of whom were users themselves. He also refuses to buy into any myth that the success of these men was because of their drug use, theorizing instead how much more productive these men could have been if not caught in the throes of addiction. 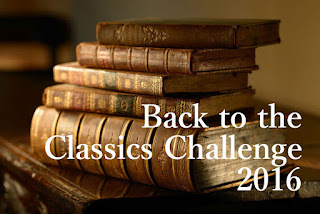 Last year, I failed to complete the Back-to-the-Classics challenge and I’m still beating myself up over it. I was determined to do better this year. 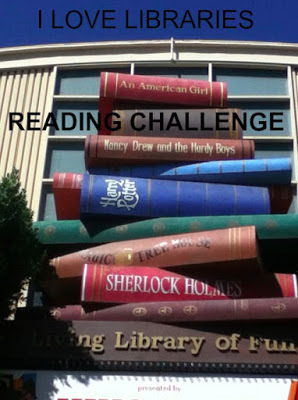 Twelve books. . .one a month, that should be easy. Then February got away from me. But I jumped in to get a book read and maybe I’ll even get two done in March. 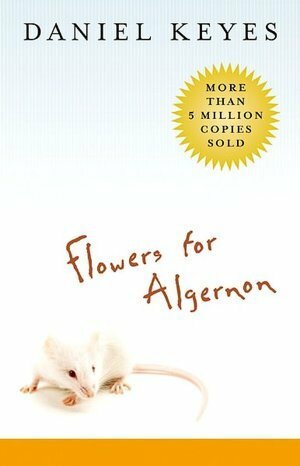 My science fiction classic is Flowers For Algernon by Daniel Keyes. In this well-known and well-loved novel, Charlie Gordon, a gentle man with a low I.Q. but a strong determination to get smarter so that people will like him more, is offered an opportunity to do just that. Neuroscientists at a nearby New York research hospital have been testing mice, using an experimental brain surgery to increase intelligence. The most recent mouse, Algernon, has shown remarkable lasting gains in ability (running mazes to find a food reward) and the researchers believe the time has come to test the procedure on a human subject. Charlie has been attending "the Beekman School for retarded adults," where he is taught by a compassionate young woman named Harriet Kinnians. She recommended Charlie for the experiment because of his unique motivation. And Charlie is chosen. The novel is written in journal style, with Charlie recording his thoughts and actions, later his dreams and recollections, in a series of Progress Reports for the researchers. At first, the surgery seems to have little effect. But slowly, and then with remarkable rapidity, Charlie’s intelligence grows. Exponentially. He rapidly surpasses the brain researchers and the professors at the university. As a result, he grows cynical and arrogant. At the same time, his intelligence vastly exceeds his emotional maturity. He struggles to understand his feelings towards people, particularly Harriet. Moreover, he recognizes that the people he once considered his friends were not. They kept him around as a buffoon, and laughed at him not with him. As he recalls and understands more about his childhood, he realizes just how horribly his parents (particularly his mother) and his sister treated him. As confused and isolated as Charlie is, he does cherish his new brilliance. So he is horrified, as is the reader, when he begins to witness Algernon’s decline. It seems the effects of the surgery were not permanent. What does Charlie’s future hold? This is a sad, insightful, beautiful book. It explores the way society treats those who are mentally challenged. There are parallels to the fear and anger of those who are experiencing dementia. And it challenges ideas of intelligence and genius. Although initially published in 1966 (satisfying the 50 year mark for the classics challenge) the book does not seem dated as some older science fiction does. This book had been on my should-read list for a long time, and it was as rewarding a read as I’d hoped. 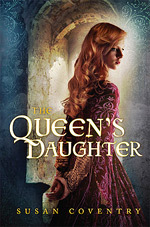 Susan Higginbotham is well known for her historical novels set in the Middle Ages and during the Wars of the Roses. (See my review of The Stolen Crown.) 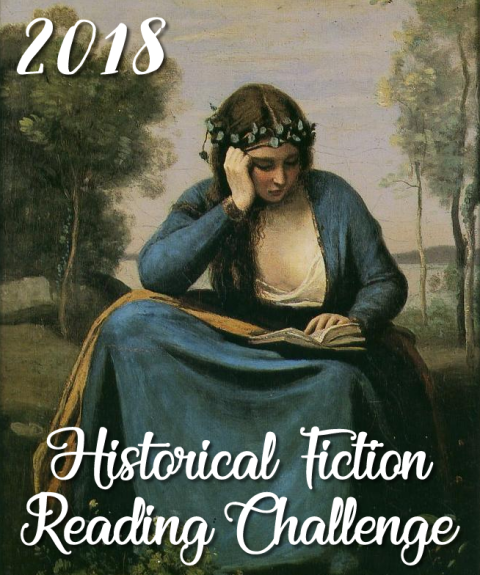 The remaining novels are on my TBR-list, but then I heard she was switching time periods and location to write a novel set in the 19th century U.S.. 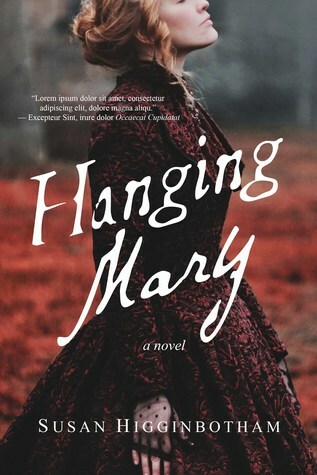 The novel, Hanging Mary, is the story of Mary Surratt and her involvement in the Lincoln assassination. It sounded so intriguing I couldn’t wait to read it! The story is told from two points of view, that of Mary herself and that of Honora (Nora) Fitzpatrick, a young female boarder. Mary is a widow whose deceased husband, an alcoholic tavern owner, left her in financial straits. Aside from the tavern, he owned a house a ways from the center of the city, which was leased out. Mary reverses the situation by leasing the tavern and taking possession of the house, which she converts to a boarding house. Mary’s family are southern sympathizers, and they are in relatively good company in Washington City, though outnumbered by Unionists. Mary’s eldest son went off to join the confederate army. Her second son, John, and her daughter live in the boarding house. Both are more vehemently pro-South than their mother, who mostly wants the war to end and her son to come home. One of her first boarders is Nora, daughter of a comfortably well-off banker. Nora’s mother died when she was very young, and she needs a respectable place to live. Nora is firmly in the Union camp, but has been taught by her father to be discreet and respectful of others’ opinions. It isn’t long before John brings home a new acquaintance, the famous actor John Wilkes Booth. A handsome man with extraordinary charm, he ingratiates himself with Mary and captures the heart of Mary’s daughter. Nora, too, is mildly infatuated with the actor, but she is much more pragmatic and realistic. She grows more fond of him for his kindness, but recognizes the unlikelihood of his interest in either Mary’s daughter or herself. The war is, naturally, a source of daily interest and consternation in the Surratt household. The occupants follow the news and attend historic events where the president speaks. They also attend the theater to watch their new friend, taking pride in the acquaintance. However, Mary grows more and more concerned with her son’s activities. John has become secretive, and he keeps bringing strangers around to the boarding house insisting they be given temporary lodging. The guests are not the type of people Mary is comfortable having in her home. Still, when she senses John is in danger, and armed with reassurances from Booth that they have no intentions of causing anyone harm, she increases her support of them. Higginbotham grows her characters with skill. While it is easier to sympathize with Nora, an intelligent, caring woman caught up in a situation over which she has no control than it is with Mary, who seems at times to willfully allow herself to be misguided, it is also possible to understand how a mother could make missteps where a beloved son is concerned. 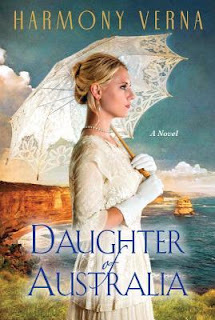 This is wonderful historical fiction, informative and emotionally involving. A great choice for book clubs!